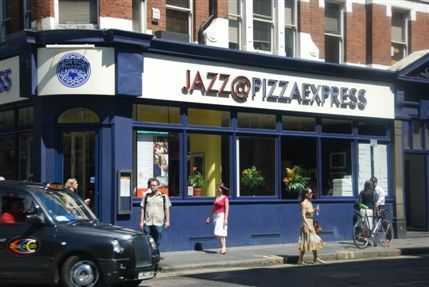 on Saturday in London at the Pizza Express Soho at 7:30 and 10:30 as part of the Steinway Festival? No. But I might stop in for a slice. Chalie has been reduced to playing in pizza parlors? 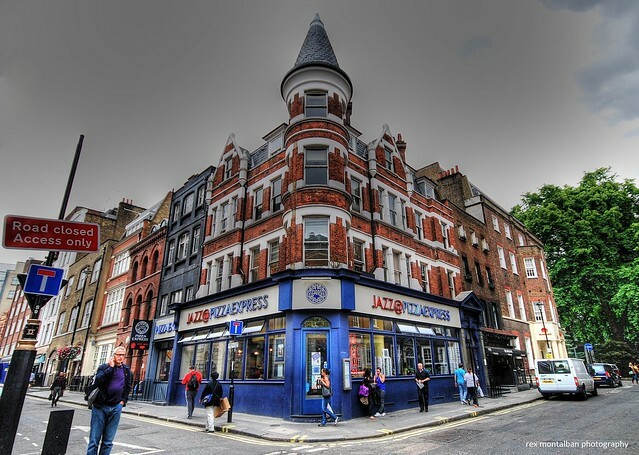 This venue is one of the most famous in London, comes after 100Club or Ronnie Scotts. I really need to explain my jokes with the words "This was a joke". Yes, but do they deliver? I want Charlie to deliver my pizza personally. Is the club on the first level or basement? , they said that the gig was recorded, that's something to look forward to. This band swings. I heard them in Hamburg when Lila Ammons and Jules Holland were on the stage, and that was good since Ben Waters is a great Boogie Woogie player, but I do not know if he can carry a whole concert as a singer. Anyway, if the band plays in my region I will go and hear them again.